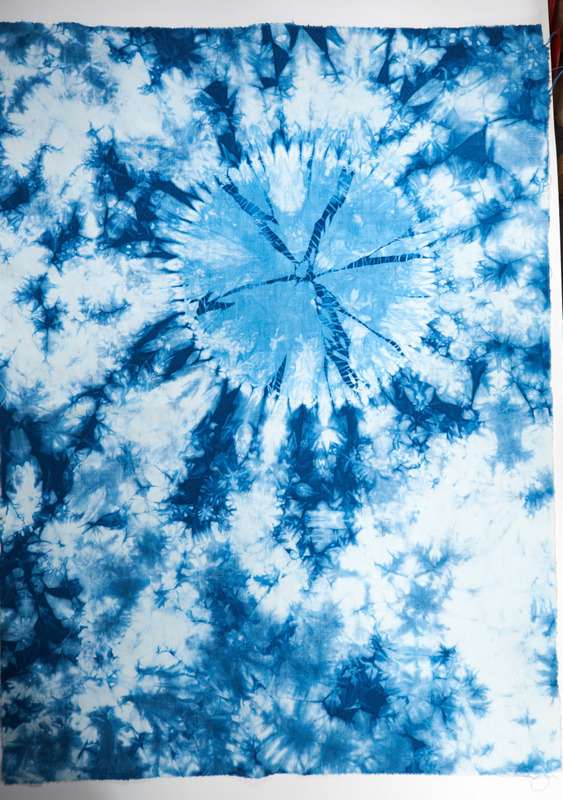 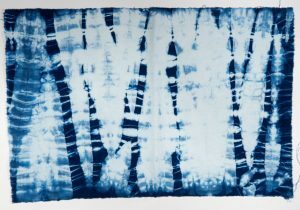 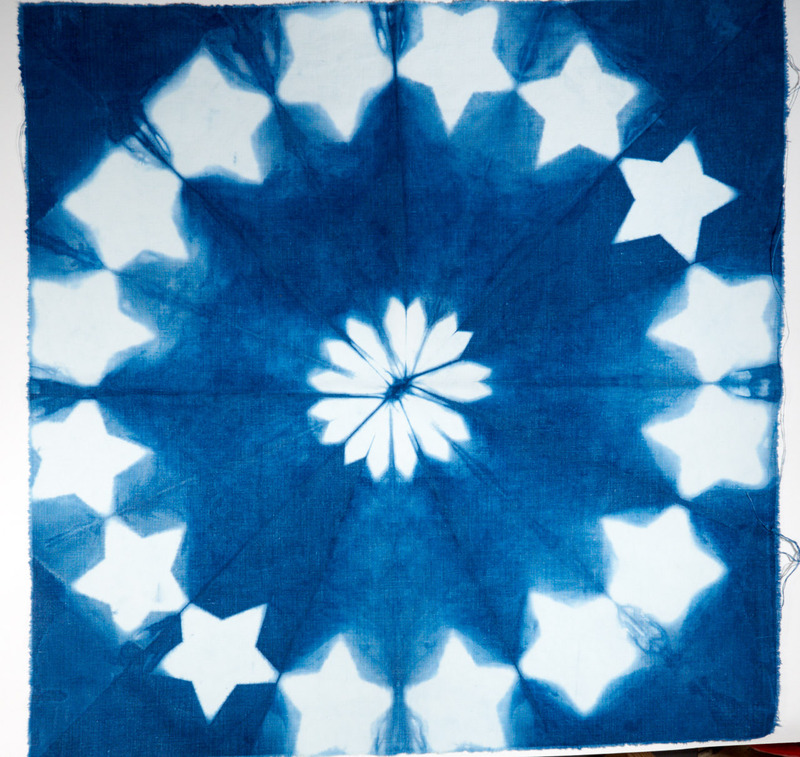 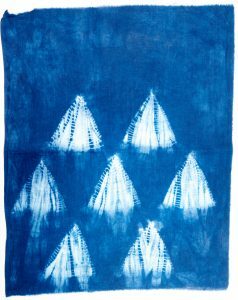 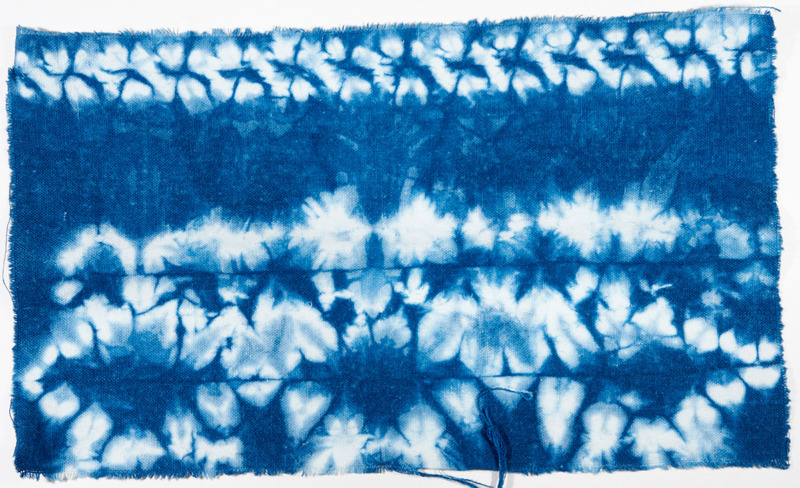 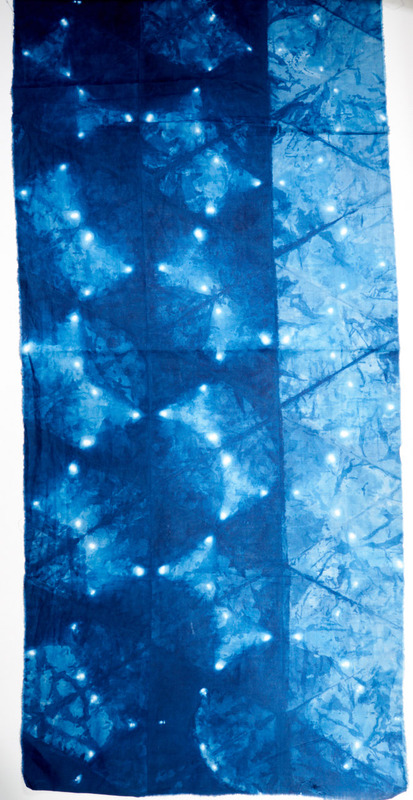 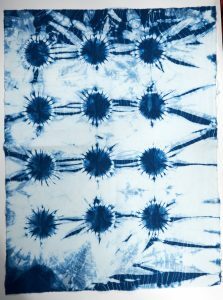 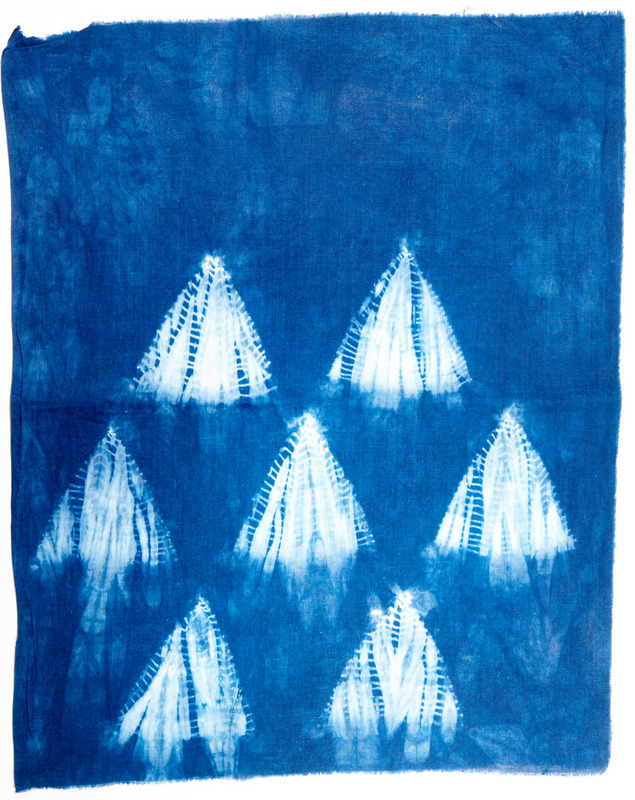 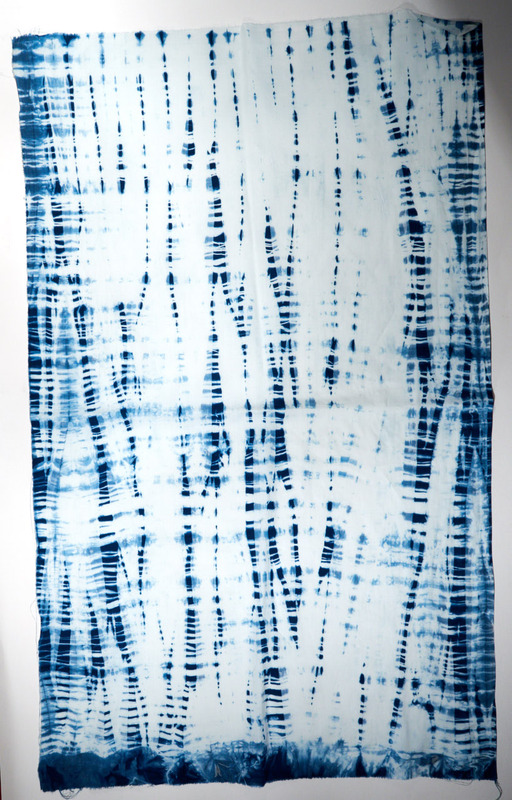 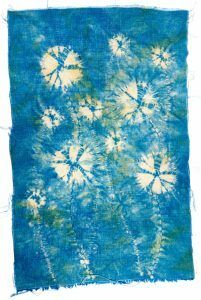 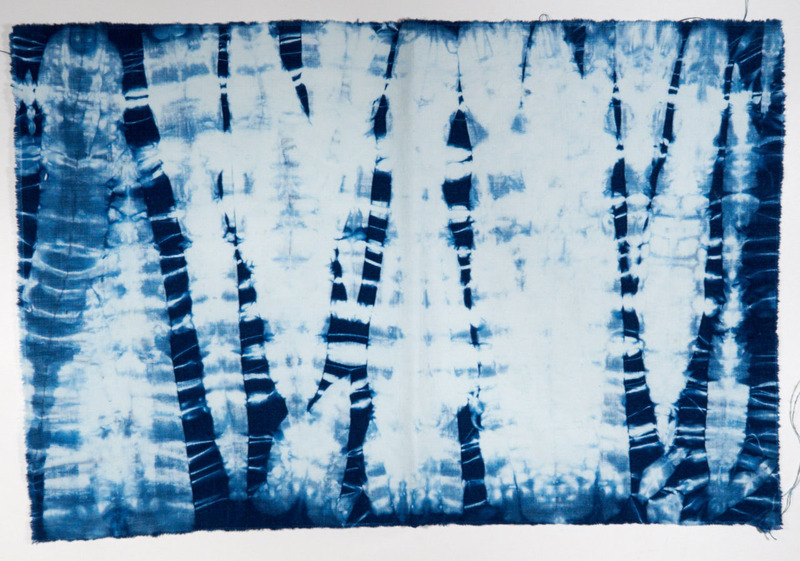 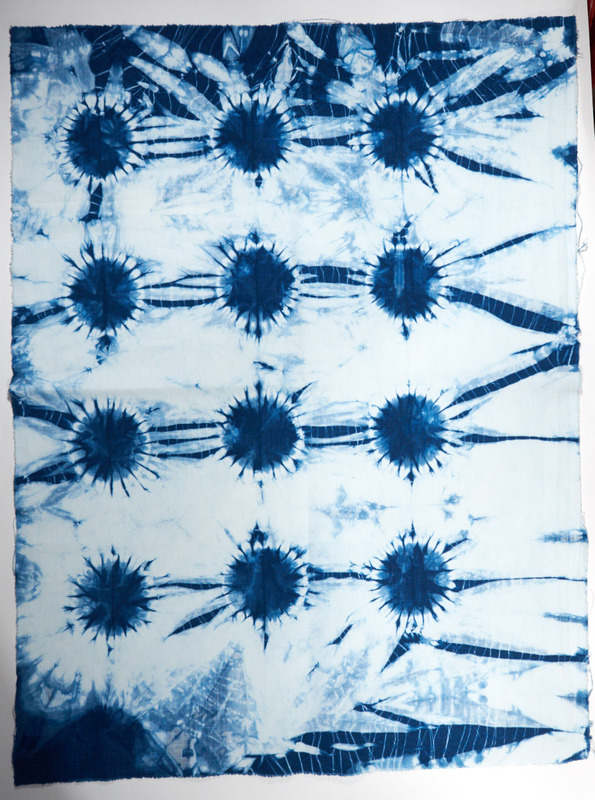 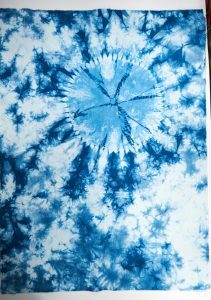 I had the good fortune to experience a week of Summer School at West Dean, attending a course on Shibori and Indigo dyeing with Rob Jones, of Romor Designs, who is strongly influenced by Japanese techniques in the art, is a wonderful teacher and gave us so much information. 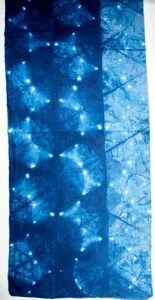 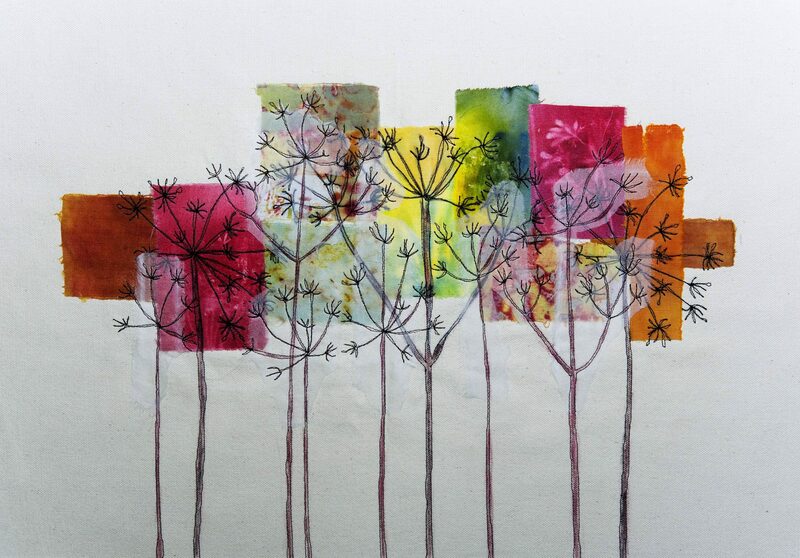 Ages ago on Pinterest I found an beautiful image of a spiderweb bound piece called Dandelions in the Night. 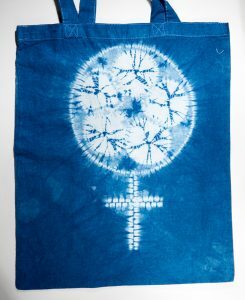 I could not find any information about it, but it inspired this piece. 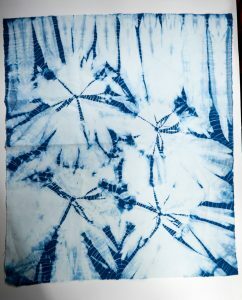 I used a piece of linen pre dyed with weld, but which came out a creamy slightly marbled colour and then stitched and bound the motifs, with just a 30 second dip in the indigo vat. 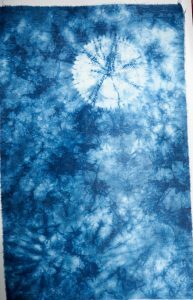 I am quite pleased with it, but this is only a small piece of cloth, so I want to try it again larger. 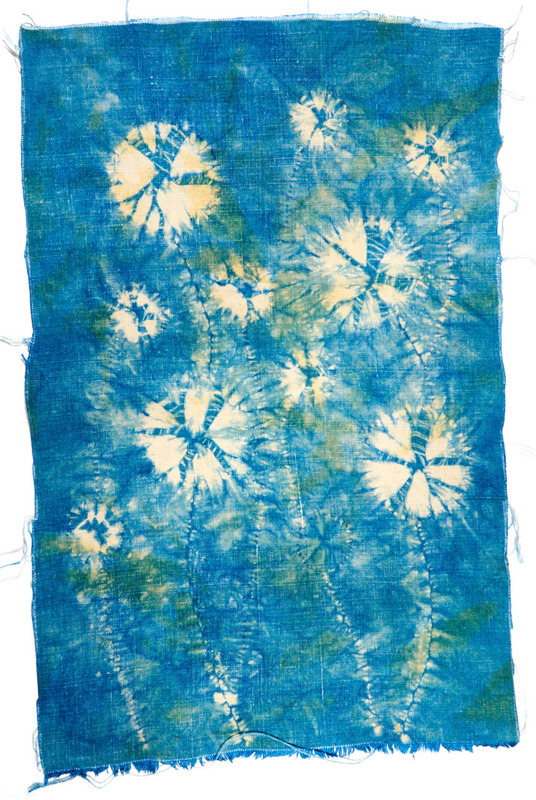 Two marbled pieces, both with a stitched and bound spiderweb. 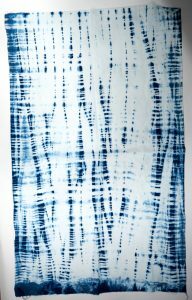 The first piece had been lightly marbled first, crumpled and placed in a mesh bag before going in the vat, then the process repeated after the binding. The send one was bound before any dyeing. I felt there was too much white within the circle, so crumpled it again and just gave that a quick dip.